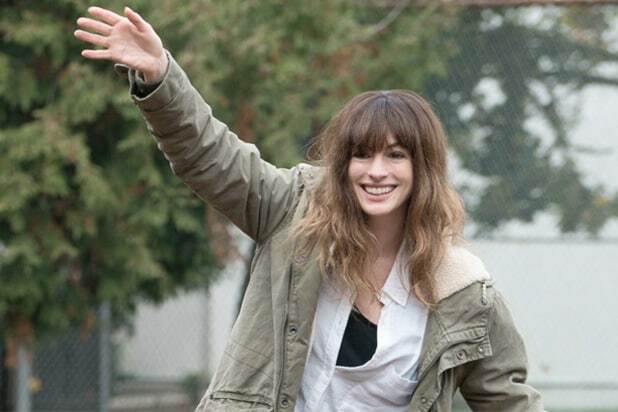 Tim League and Tom Quinn will distribute Anne Hathaway‘s “Colossal,” an individual with knowledge of the project told TheWrap. On Tuesday, there were reports that a mysterious Chinese-backed U.S. company, which would be announced in the weeks to come, had purchased the film that also stars Dan Stevens and Jason Sudeikis. Now, TheWrap has learned that a new company founded by Radius co-founder Quinn and Alamo Drafthouse owner League will distribute the film that premiered at Toronto International Film Festival. Nacho Vigalondo wrote and directed the movie about a hard-partying New Yorker who has to fight a Godzilla-like creature with her mind. Nahikari Ipiña, Nicolas Chartier, Zev Foreman, Russell Levine, Dominic Rustam and Shawn Williamson produced “Colossal,” while executive producers include Jonathan Deckter, Garrett Basch,Justin Bursch, Chris Lytton, Lee Jea Woo and Vigalondo. Hathaway’s other upcoming projects include “The Shower,” “Live Fast Die Hot” and “Ocean’s Eight,” the female spin-off of the classic “Ocean’s Eleven” film. The deal was negotiated by CAA. It made its world premiere at TIFF last week. Correction: A previous version of this story incorrectly stated that Quinn and League’s company had bought the rights to the film.